Photoelectric liquid level sensors are used to detect the level of cleaning fluid in semiconductor cleaning equipment. 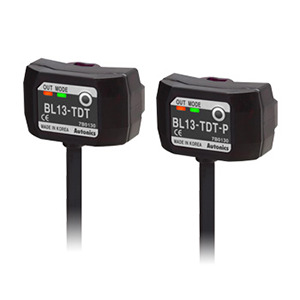 The BL series photoelectric liquid level sensors can detect the presence or absence of liquid in transparent pipes measuring 6 to 13 mm in diameter and less than 1 mm thick. Users can easily select between Light ON and Dark ON operation using the operation mode switch. With compact design and easy installation, the BL series sensors are ideal solutions for non-contact detection of liquid in transparent pipes.